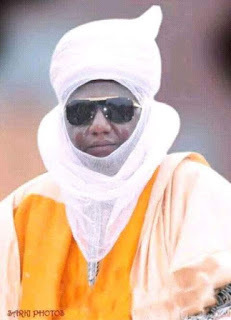 Dr. Shehu Usman Yamusa has been named the new Emir of Keffi, Keffi local government area, on Monday, December 14. The appointment was announced by Governor Umaru Al-Makura of Nasarawa state during a meeting with the State’s Traditional Council in Lafia. It comes after a seven-day notice of the death of the emir of Keffi, Alhaji Mohammadu Chindo Yamusa II on December 4 this year. During the selection Usman-Yamusa, the first son of the deceased, secured five votes, while his opponent Mohammed Suleiman scored only two. The appointment goes with effect from December 14, 2015. Dr. Shehu Usman Yamusa II was born on the 4th of November, 1966. He attended the Usman Danfodio University, Sokoto, university of Dundee, Scotland, and International Islamic University, Malaysia, where he obtained Bachelor of Law (LLB) Masters of Law (ML) and Doctor of Philosophy (Ph.d Energy Laws) renewable energy and sustainable development, respectively. Until his appointment, the new emir of Keffi was a Senior lecturer at the faculty of law of the Nasarawa state University, Keffi. Recaption the post, "Meet" not "Mert"